It’s easy to see why a funny picture of a polar bear with sophisticated photography gear won Israeli photographer Roie Galitz a “highly commended” spot in the 2018 Comedy Wildlife Photography Awards. But there’s a very serious story behind “Wildlife PhotograBear,” snapped in early April 2018 in Svalbard, an archipelago in the Arctic Ocean between Norway and the North Pole. 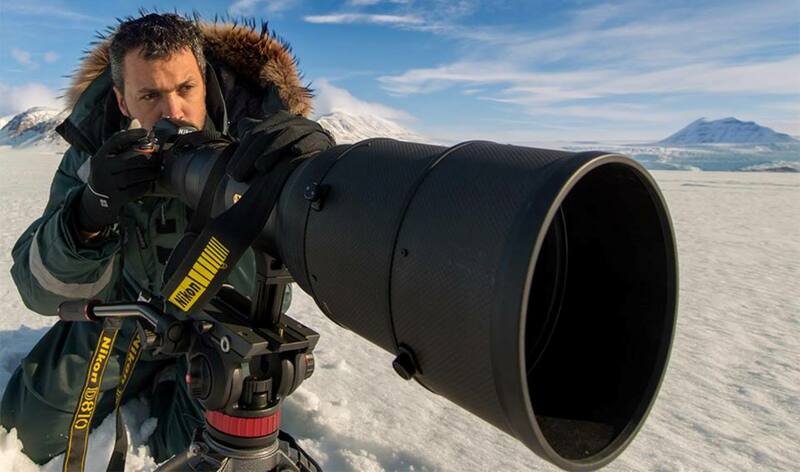 Galitz, 38, heads Phototeva (Nature Photo), which takes small groups on expeditions to Svalbard and other remote regions to bring attention to the devastating effects of climate change on indigenous creatures. He speaks across the world as a voluntary wildlife photo ambassador for Greenpeace. 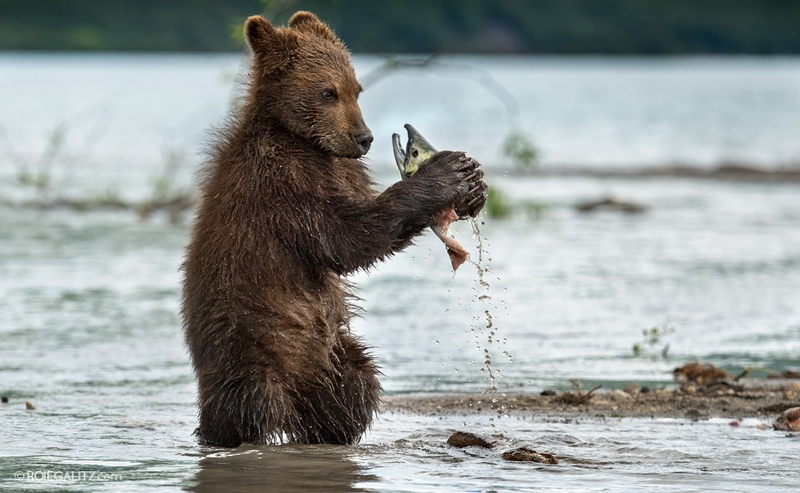 His award-winning pictures have appeared in magazines, local and international exhibitions (including at the Smithsonian in Washington, DC) and in the BBC’s “Snow Bears” documentary aired a year ago. “Like any good wildlife photographer, I started in Africa. Then I fell in love with the cold and snow, and that got me to Svalbard,” Galitz tells ISRAEL21c. Galitz communicates what’s happening by showing close-up individual scenarios, for example a mother polar bear struggling to care for her cubs. “Thanks to my work with the BBC I get special permits to go into restricted areas. This is how I photograph unimaginable beauty,” he says. “Wildlife PhotograBear” happened while Galitz was guiding a three-person Phototeva workshop. “That bear was mating with a female for a couple of days and afterward they went their separate ways. We followed him and got some amazing shots from 30 to 40 meters away. Suddenly he just took a sharp turn to the right and started walking directly toward us,” Galitz relates. Galitz has taken the four-airplane journey to Svalbard 10 times. “I’m going again with two groups of three in March and April. I travel 10 to 12 times a year, half for photography projects, half for public-speaking tours and award ceremonies,” tells ISRAEL21c. When he’s home in Givatayim, a suburb of Tel Aviv, he runs Phototeva, the Galitz School of Photography and the annual Israeli Photography Convention. The 11th convention in November drew 2,500 participants to Tel Aviv, including dozens from abroad. Galitz also cofounded TalkMaster School of Public Speaking, through which he gives lectures at photography conferences and environmental events across the world. He is also a brand ambassador for G-Technology, DJI drones, Gitzo and Wix. One thing he does not do in Israel is photograph wildlife. It’s not that Israel lacks wildlife – well, there are no polar bears, but there are lots of other critters. It’s just that when Galitz is home he is too busy running his businesses, preparing talks and raising four little boys with his wife, an ear-nose-throat doctor who recently finished her residency. “We both work around the clock and there is almost no time,” explains this devoted dad, who tells his sons bedtime stories about extinct species like the woolly mammoth and T-Rex. He worries that his future grandchildren’s extinct-animal bedtime stories could be about elephants and rhinos. Galitz knows he cannot singlehandedly stop the effects of climate change and other environmental disasters. However, he believes his images can enhance awareness and encourage changes on the individual level (consume less energy), community level (clean up plastic waste on beaches) and national level (adopt clean and renewable energy, stop oil and gas drilling near the North Pole). More of Galitz’s images can be viewed on Instagram. To find out more or to invite Galitz for a public-speaking engagement, contact him here.